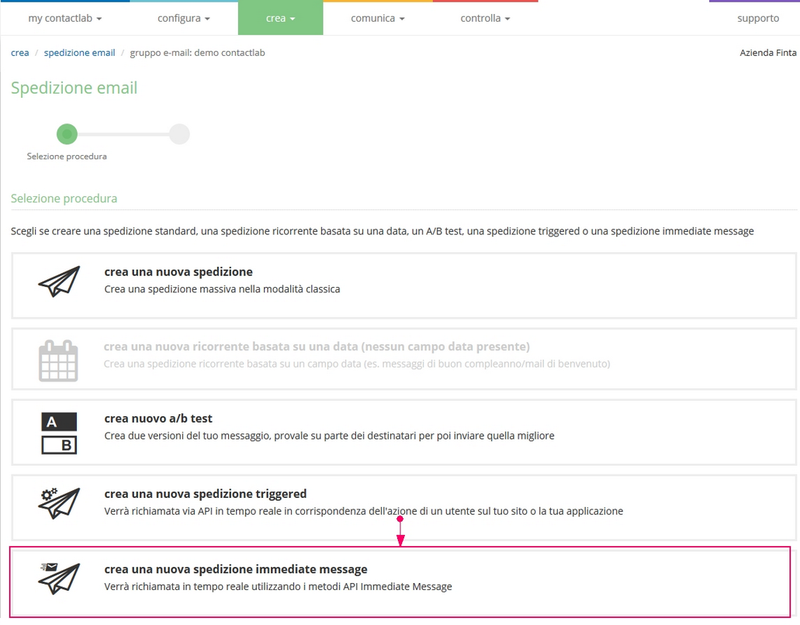 Using Contactsend APIs you can set up “immediate message” deliveries. 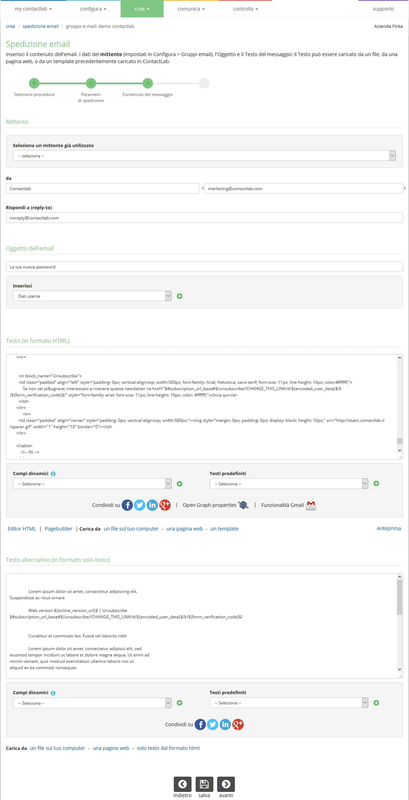 Similarly to triggered deliveries, they are email messages automatically sent as an event occurs on a third party application (e.g customer’s website). A typical use is the sending of service messages, for example password recoveries in websites, or confirmation email when you subscribe to a service or apply for an event. The recipient will immediately receive the template and contents set up via the Contactsend interface. 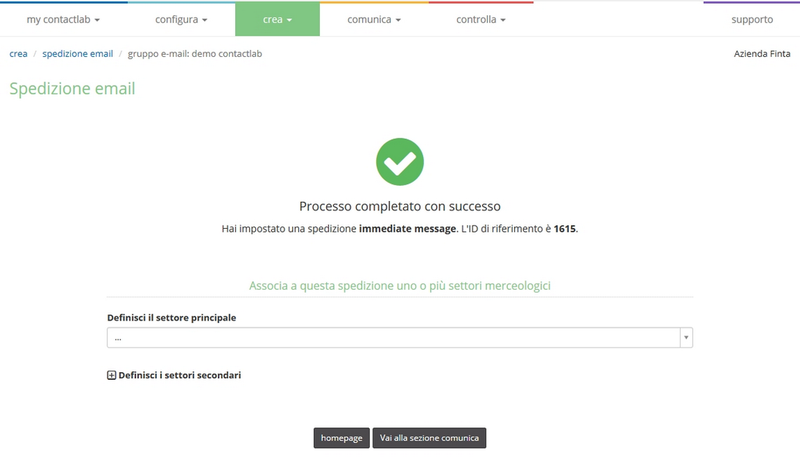 The interface allows you to set all the sending information – as a normal bulk email campaign – and at the final steps displays parameters you’ll need to use in the relevant API call. 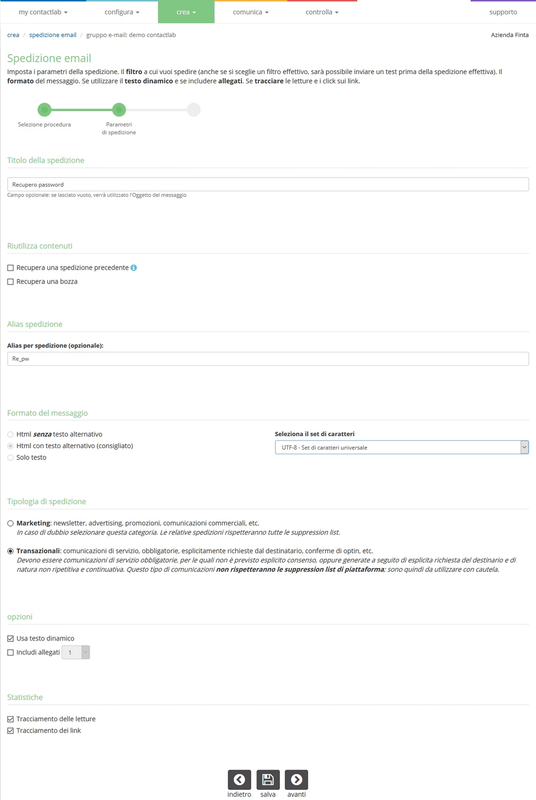 To create a new sending move to “Create” > “Email campaign” and select the email group in which you want to creare the immediate message. Then select “Create a new immediate message delivery“. Under “Parameters” you can optionally type a title* and an **alias to identify this sending template. In the next page type in the subject line and content of the message that will be sent as the relevant event occurs. Proceed with the next steps by clicking the “Next” button. 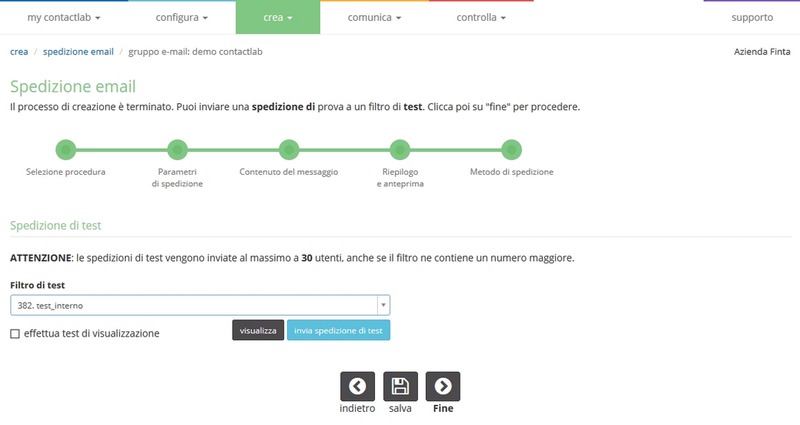 At “Delivery method“, you can send out a test sending, in order to check how the message looks like. When you click the Finish button, the delivery ID is displayed. You will need it in the API call that will invoke this template. Alternatively to the ID, you can use the alias specified in the early steps of this process (see above).